Gone are the days when teachers had to shout loud while marking the student's attendance on a daily basis. The manual method of marking attendance demanded a huge time and attention of the teachers. Isn't it? However, technology has a solution to every problem on earth. As the technology trends are expanding its reach, it extends its boundaries even to the school attendance system. The whole process of marking and maintaining student attendance is now online. Thus, schools are now benefitting out of the automated attendance management system. There is certain school management software available in the market which has rapidly replaced the existing manual attendance system. The software not only acts as a time saver but does offer us a precise and error-free atmosphere. 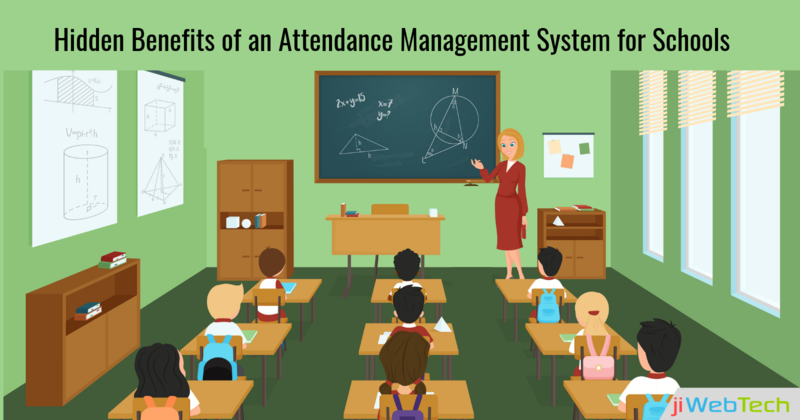 Thereby, an introduction of an automated system of managing and tracking student attendance automatically has eliminated the hectic and manual attendance system. Majority of the schools have upgraded their usual way of task handling to a system which can tackle all the tasks accurately and smoothly over a reliable platform. And one of the most beneficial features under school management software is the attendance module. The attendance module simply eliminates the manual way of marking attendance and replaces it with a system which manages students and staff attendance accurately. Want to know more about the attendance management system and how the system benefits the school? Continue reading the blog and get an answer to all the questions. The automated attendance management system has the following features that make it worthy and beneficial. Speed and Accuracy: Marking attendance of 40 students altogether manually is more like an open invitation for mistakes. So, going for the attendance management system quickens up the complete process while offering you accurate results without any chances of errors or careless mistakes. Moreover, the teachers can utilize the same time while focusing more on the student's academics. Automatic Report Generation: Teachers generally pull out the students report cards only during the parent-teacher meetings, but they need to manage the attendance records during the whole session. This process is quite tedious on the teacher's end as they have to maintain every single record with full precision. Implementing the attendance management system lets you maintain automated records and help you in quickly search the desired inputs. Alerts to Parents: As the attendance management system helps in keeping the parents updated by sending the regular attendance of students on a daily basis, it results in making students more punctual. The system keeps parents aware of their child's performance and helps teachers to stay updated. Staff Attendance Management: Attendance management system will not only manage the student's attendance, rather it accurately manages the staff attendance too. This will further help in managing the substitutions and other tasks as well. Quick reports: Taking attendance over long registers is just outdated in recent time, rather the automated system allows the teachers to save their time and mark the attendance automatically and quickly. Therefore, whenever there is a need to check a particular student's attendance records, it becomes easy to search over the automated platform. Having an attendance management system will, therefore, assist in making tasks more easy to manage. In fact, going for an ideal school management software which can cater to all the school requirements, including the attendance management system would make lives easier for you. In case you have any queries, feel free to get in touch with us.